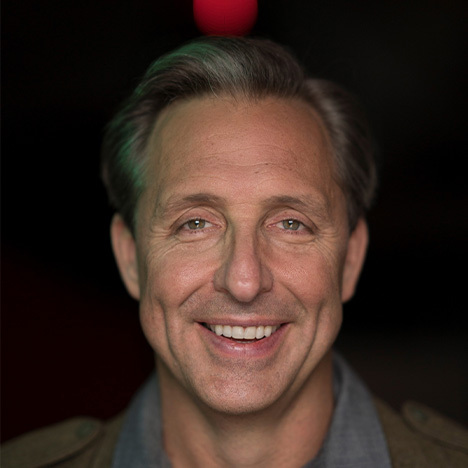 Dave Asprey is the founder and CEO of Bulletproof 360, Inc. He is a two-time New York Times bestselling science author, host of the Webby award-winning podcast Bulletproof Radio, and has been featured on the Today Show, CNN, The New York Times, Dr. Oz, and more. 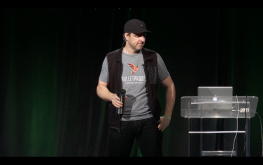 Over the last two decades, Dave has worked with world-renowned doctors and scientists to uncover the latest, most innovative methods for enhancing mental and physical performance by taking control of his own biology – a process known as “biohacking”. His upcoming book, Game Changers, offers 46 high-performance “laws” that area virtual playbook for how to live your best life. Growing from interviews with some of the world’s top performing humans – including Arianna Huffington, Gabby Bernstein, Tim Ferris, Dr. Daniel Amen, Esther Perel and others – the book highlights ways to make your life Smarter, Faster and Happier, ultimately into your unlimited power. 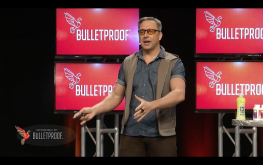 Through the Bulletproof Diet, Dave has maintained a 100-pound weight loss, improved his sleep, and upgraded his brain, ultimately transforming himself into a better entrepreneur, a better husband, and a better father. Dave has helped hundreds of thousands of people perform at levels far beyond what they’d expect, and without burning out, getting sick or allowing stress to control your decisions.